The whole concept of moving from the conventional to digitalisation is a daunting task. Our expertise backed with in-depth knowledge will allow your business to benefit from IT transformation in the most convenient manner. We focus on making your business operations efficient with smart and secure IT functions that provides you a connected experience throughout. 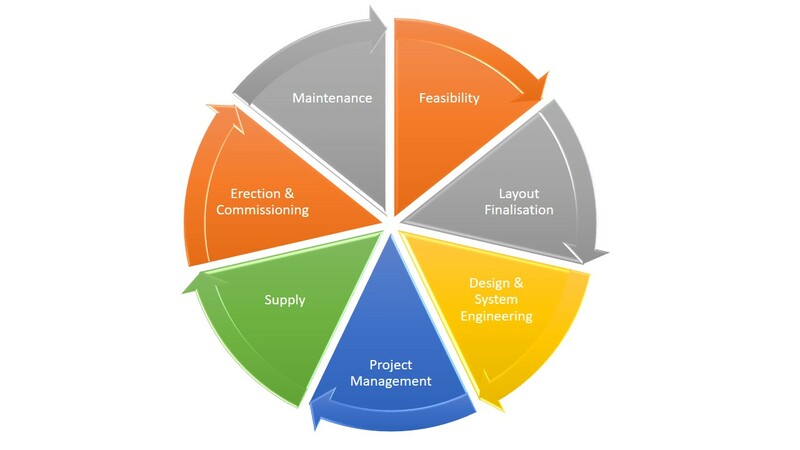 We manage your project and help you overcome challenges to ensure the transition stays on schedule, on budget and on target. Tunkey is an end-to-end complete assignment. One Company to Contact. Nothing kills the timeline of your project like having to manage multiple companies. …..failing to plan is, planning to fail. 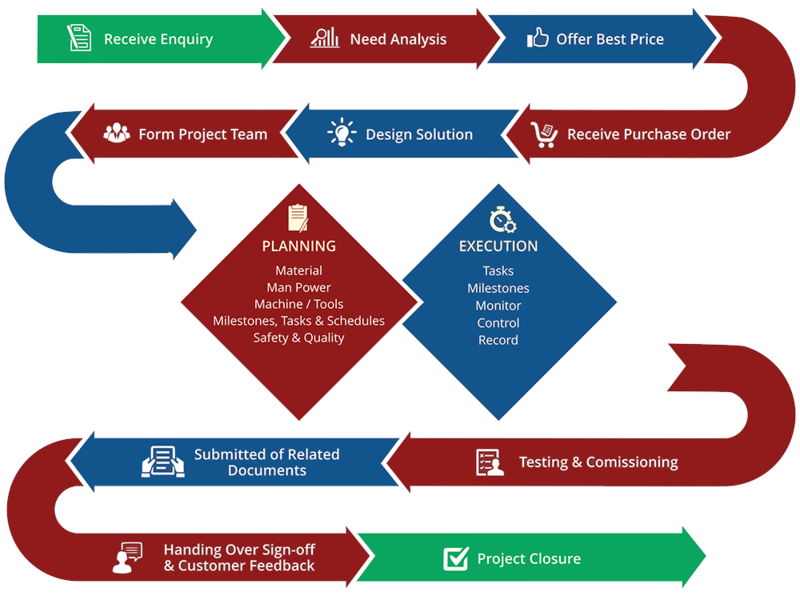 Project management is the discipline of initiating, planning, executing, controlling, and closing the professional work of a team to achieve specific goals and meet specific success criteria. A project is a temporary endeavor designed to produce a unique product, service or result with a defined beginning and end. ……… A project is complete when it start working for you, rather than you working for it.